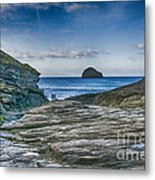 Trebarwith Strand (Cornish: Trebervedh Sian) (locally sometimes shortened to The Strand), is a coastal settlement and section of coastline located on the north coast of Cornwall, United Kingdom, 2 1⁄2 miles south of Tintagel. 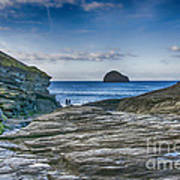 It has 800m of sandy beach, contained by cliffs, in which natural caves are found. 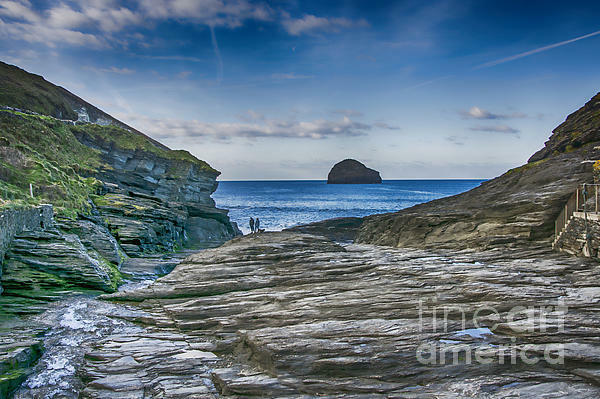 The name Trebarwith really belongs to the village on the higher ground to the south of the valley which is the most southerly part of Tintagel parish. Land at Trebarwith is first mentioned in records of 1284 and was held from 1329 until the early 16th century by the Lercedekne family.